Old vintage folding wooden door frame with brass handle in countryside. Antique sliding doors or folding doors at old wooden buildings. 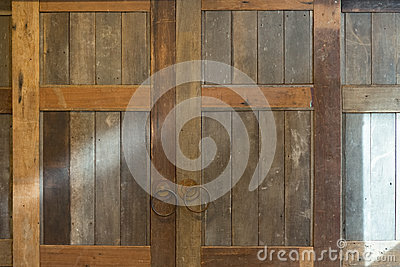 Old wooden door background texture.